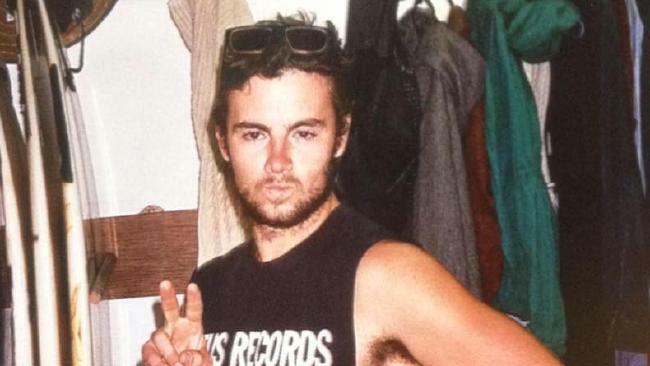 ONE of the three mates who was involved in a fatal crash that claimed the life of popular, young Aussie surfer Corey Ring has been charged. The trio - all in their early 20s and from Illawarra in New South Wales - were on the trip of a lifetime which lasted several weeks before their four-wheel-drive plunged 20 metres over a cliff in Lyndon, about 15km south of Warroora Station, Western Australia. 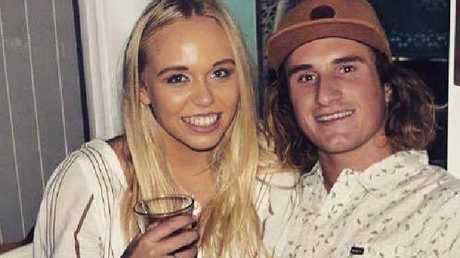 Driver Baxter Woodger, and his girlfriend Tahlee De Clouett, made a miraculous escape from the dramatic crash on August 11 - suffering suspected neck and spinal injuries. 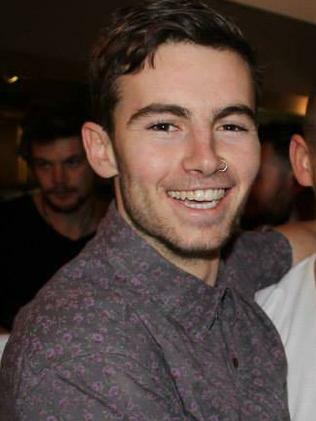 However, surfing and footy fan Corey Ring was killed. On Friday, WA Police arrested Mr Woodger and charged him with dangerous driving occasioning death while under the influence of alcohol and drugs, and he is due to appear in court today. The tragedy struck just hours after Ms De Clouett marked her 21st birthday on Friday. 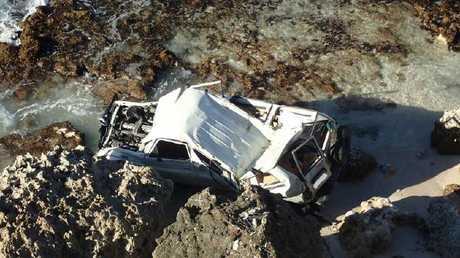 Police say the car was travelling on an off-road track in Lyndon, near Carnarvon, about 3.30am on August 11 when the vehicle went over the edge of a cliff, dropping 20 metres and landing in the ocean. Horrific images released by WA Police show the crumpled white Toyota LandCruiser being lapped by the ocean's waves as it sits caved in on a rock shelf. Instagram pictures posted throughout the trip showed the trio setting up camp on white-sand beaches, posing with people they met along the way and smiling as they sipped on drinks with some of Australia's most stunning scenery in the background. Mr Ring moved to Western Australia from his home in Wollongong about a year ago to work at a goldmine. 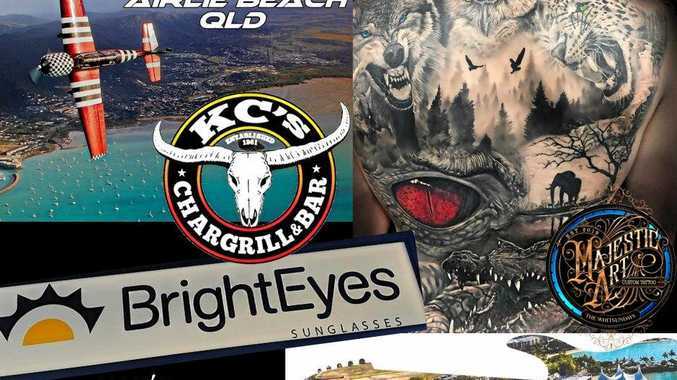 His family told the Illawarra Mercury he was on a weeks-long break when he decided to join his friends, who left the northern Illawarra in a caravan bound for Western Australia in June. Mr Ring's grandfather Norm told the newspaper his grandson was out in Western Australia doing what he loved most. "He was enjoying himself, he was having a ball. 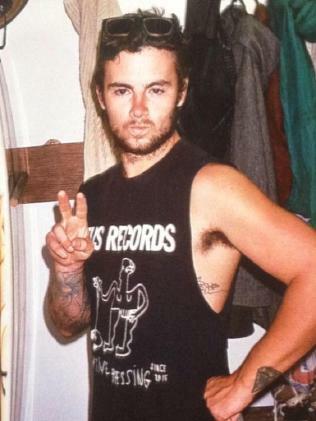 Everyone's very supportive of what he was doing," said Mr Ring. In a media statement, Ms De Clouett's father Christian said his family had been devastated by the news. "Our family has been shattered by this event - and we are devastated by the death and our thoughts are with the family at this terrible time for us all," he said.